Ricardo Alvarez was a panelist and speaker at the Climate Change Conference organized by the Florida Center for Environmental Studies (CES) at FIU and the Patel Center for Global Solutions (PCGS) ay USF. Additionally Ricardo served as a member of the program Committee for this conference, as well as a poster presenter. Ricardo was a panelist in a conference session focusing on “Converting Science into Action” where he addressed the impact of climate change on the built-environment in vulnerable urban areas in Florida’s coastal regions. 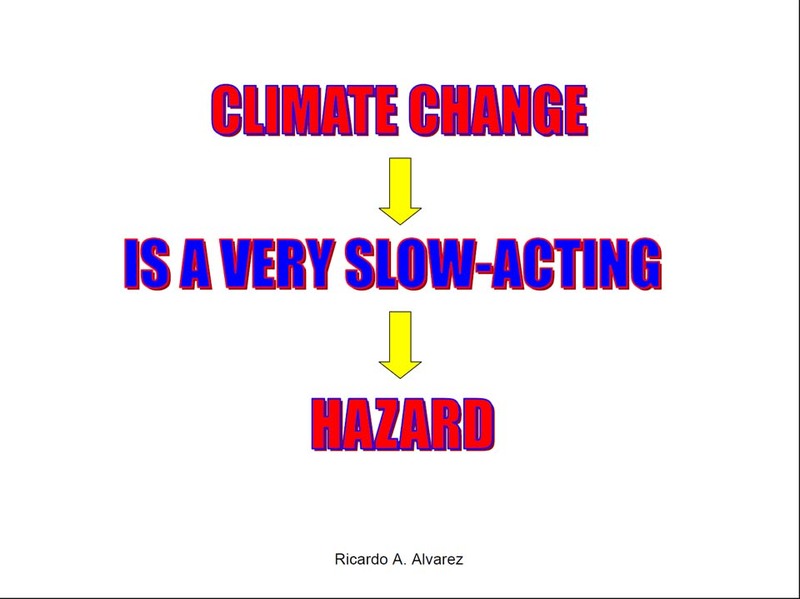 Ricardo submitted that climate change is a very slow-acting hazard, which has damage components capable of causing direct damage to buildings and infrastructure; Ricardo specifically cited global warming and sea level rise as two damage compoinents of climate change particularly capable of inflicting damage on buildings and infrastructure. Ricardo argued that for the past few years most of the emphasis had been on actions humankind can take to mitigate the human impact on climate, so it is not early enough to place equal emphasis on actions we will need to take to reduce the potential for damage to the built-environment from the impact of climate change. Ricardo concluded his remarks by offering recommendations for a plan of action to implement adaptation measures to protect our buildings and infrastructure in urban communities in the coastal regions of Florida and other states. You can view a powerpoint Ricardo used to illustrate his remarks by going to the following link: RICARDOpresents3.